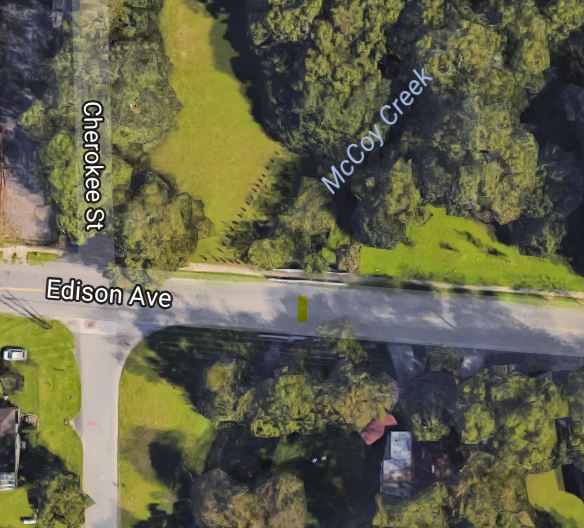 This $2 million project will replace the existing two-lane Edison Avenue Bridge with a new bridge that features two twelve-foot travel lanes for vehicles, five-foot wide shoulders and a five-foot sidewalk on the north side of the bridge. During construction, a temporary bridge will be installed on the north side of the existing bridge to safely maintain vehicle and pedestrian traffic with little interruption. By providing a temporary roadway, traffic disruptions are reduced while the safety of motorists and construction workers is enhanced. Detour bridges have also been shown to reduce construction costs and help increase productivity. The Edison Avenue Bridge was built in 1929 and is included in the 2004 and 2012 edition of Historic Highway Bridges of Florida. While not individually eligible for the National Register of Historic Places, the Edison Avenue Bridge is a contributing resource to the potential North Riverside Historic District and a contributing element to the McCoy’s Creek Improvement Project Bridge Resource Group. The proposed bridge design will match the existing sidewalk railing and the existing historic railings (located at the outside edge of shoulders). The proposed bridge will be constructed to today’s FDOT standards but will keep the appearance of the existing bridge, thereby preserving the historic character important of the community. FDOT held a public meeting to discuss these proposed improvements to the Edison Avenue Bridge over McCoy’s Creek in Jacksonville in June 2015.